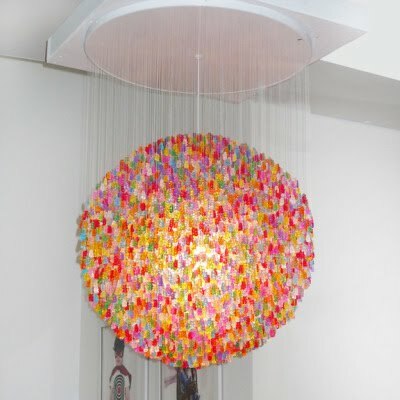 maybe put a Gummi Bears Chandelier in their room. What do you mean "child's head"? Mine just exploded! this is fantastic. how about putting it my room??? kids shmids!thank you for all your inspiring words. i read your blog everyday and i love all the positivity! That wouldn't last a day in our house (and we don't have kids)!